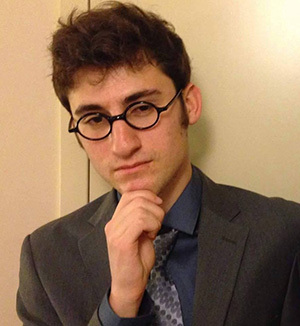 Kfir Dolev, an undergraduate student at UC Santa Cruz, has been named a 2016 Goldwater Scholar by the Barry M. Goldwater Scholarship and Excellence in Education Foundation. The Goldwater Scholarship is a prestigious national competition for undergraduates in the fields of mathematics, science, and engineering. The scholarships provide up to $7,500 per year for sophomores and juniors from across the country to cover the costs of tuition, fees, books, and other expenses. The foundation awarded 252 scholarships this year, selecting the scholars on the basis of academic merit from a field of 1,150 students nominated by representatives of colleges and universities nationwide. Dolev, a double major in physics and computer science, will be a senior in the fall. His career goal is to earn a Ph.D. in theoretical physics and conduct research on dark matter phenomenology. The Barry M. Goldwater Scholarship and Excellence in Education Program was established by Congress in 1986 to honor Senator Barry Goldwater. The scholarship program was designed to foster and encourage outstanding students to pursue careers in the fields of mathematics, the natural sciences, and engineering. The Goldwater Scholarship is the premier undergraduate award of its type in these fields.